Fitness tracking dons Fitbit have rolled out three new activity trackers, all with rather daft names: The Charge, Charge HR, and the Surge. Only the $130 Charge (below) will be made available this year, with the $150 Charge HR and $250 Surge devices jogging into stores in early 2015. After the failure of the Fitbit Force – which suffered the embarrassment of a public recall in the first quarter of 2014 – the company are hoping that this shiny trio will bring happy times clapping over the hill. The Charge is the cheapest of the trio, and can display caller ID information from a connected smartphone as well as the usual basic fitness tracking stuff like steps taken, distance travelled, and floors climbed. It will also monitor your sleeping habits. Things get a tiny bit more interesting with the Charge HR (above) which adds a heart-rate monitor (that’s what the HR stands for! ), although at the expense of the battery life, which falls to just five days instead of the seven found in the Charge. The top of the range Surge comes with a $250 price tag that pushes it into fiercely competitive smartwatch territory. 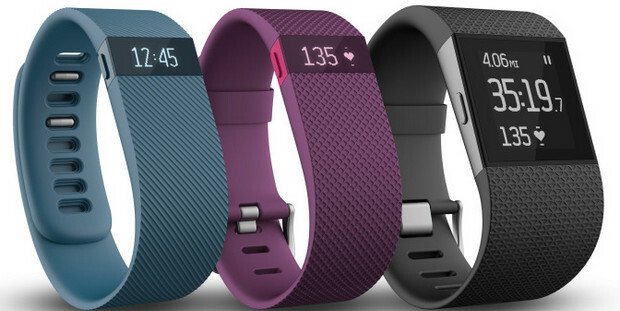 Fitbit hopes that the Surge will prize open the wallets of mad-for-it runners thanks to its GPS capabilities that can track pace, distance, and elevation, and onboard heart rate monitor. The touchscreen display also gives users access to music controls, and lets them see call and text notifications on a range of customisable watchfaces. 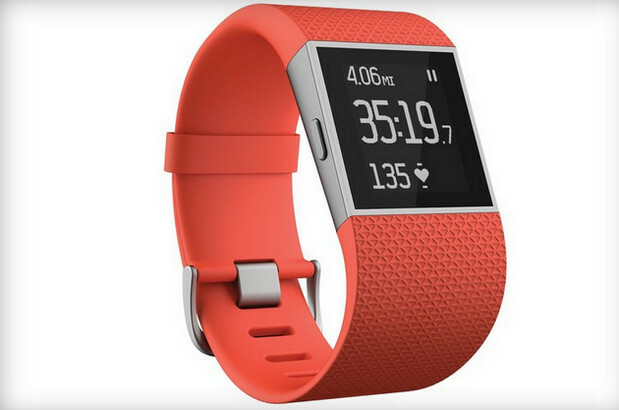 Fitbit says that the Surge will lasts seven days on one full battery. With the Surge not surfacing until 2015, we expect the smartwatch market to have really stepped up a gear or two by then, so that delay in production may well end up costing Fitbit dear.